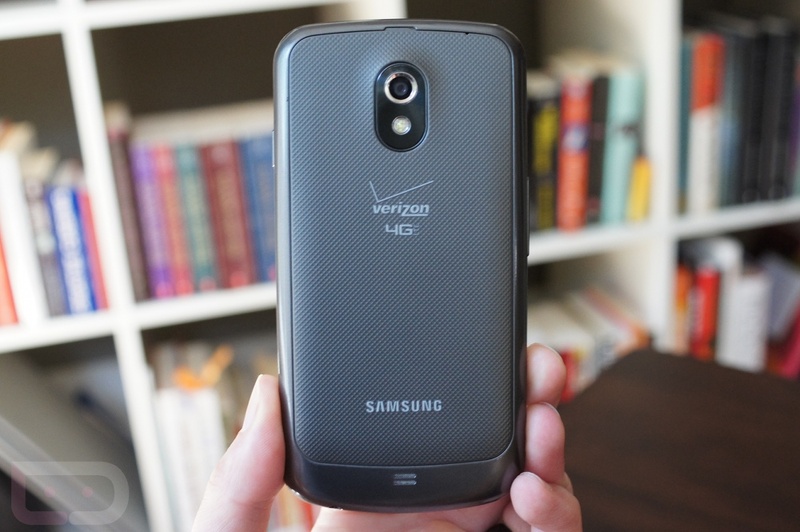 When is the Verizon Galaxy Nexus Going to Receive Jelly Bean? Verizon’s version of the Samsung Galaxy Nexus was released on December 15, 2011. At that time, Big Red customers all thought they had hit the jackpot. This was the first time since the original DROID that they would be able to lock into a 100% stock Android phone with an unlockable bootloader. Not only that, but as a “Nexus,” it should receive updates before the rest of the world and in an incredibly timely manner. On day 1, it received an update to Android 4.0.2 – life was grand. Then the next day, Google announced that Android 4.0.3 was the new starting point for Ice Cream Sandwich and the waiting game for it to arrive on Verizon’s version began. As you all know now, we waited almost 6 months for that update to arrive. In fact, 4.0.3 never did show up. Instead Verizon skipped it in place of 4.0.4, which was nothing more than a bug fixer. First of all, the Galaxy Nexus on Verizon is going to see Android 4.1, no matter what. It’s the most current “Nexus” device and since other versions of it are already receiving it, we have no reason to suspect that this version won’t. Not that any of you were questioning this idea, but we just want to make that clear. Well, if you go off of the previous schedule for the 4.0.4 update, we could be looking at upwards of 6 months. Since we have no other time frame to go off of, you shouldn’t be surprised if it takes a while. We should also point out that the jump from 4.0 to 4.1 is much larger than the jump from 4.0.2 to 4.0.4 was. In fact, Android 4.1 is big enough to warrant a name change, but beyond that, it introduces so many new features that it would take us an hour to list them all out. Again, if it took 6 months to push a bug fixer, how long could it take to push a significant update? Unlike other Nexus devices, this one requires carrier approval on updates before Google can release them. The updates still come directly from Google, but Verizon wants to sign off on them beforehand and that’s what took the update from .02 to .04 almost 6 months to be released. I hate to say it, but if we have to wait for Verizon’s extra long testing process on 4.1, you can uncross fingers and try to get comfortable with 4.0.4 for a while. VZW is known for having one of the slower more thorough testing practices when it comes to both devices and updates. We would have hoped that this process would have been streamlined for a bare bones Nexus, but so far that hasn’t been the case. Seriously, when can we expect an update? If you want Jelly Bean today, go ahead and root your device and flash one of the many Android 4.1 custom ROMs that are available. If you are only into official builds that come from Google, it could be weeks or even months. Unless there is a separate team at Verizon dedicated to testing only Galaxy Nexus builds, I can’t imagine they are going to drop testing of ICS for the Rezound, Spectrum, Bionic, and DROID 4 so that G-Nex owners are happy. While that would be ideal to many of us, it’s probably not a reality. I know that doesn’t give you much of an answer, but it does lay out the process and the past. We know that not all of you are into ROMs, but the quickest way truly is to take advantage of your Nexus phone and think about rooting it and tossing on a custom Android 4.1 ROM. If you are afraid to, don’t be. It’s almost impossible to do anything to your phone that it cannot be recovered from. Google has given you the stock files to return from anything disastrous. For the time being, feel free to dabble and hack, you may learn something or find a new passion for Android. Not only that, but it will help pass the time while we wait for the carrier barrier.